Frollick with Snow Shoes in Nabekura's Powder Snow. 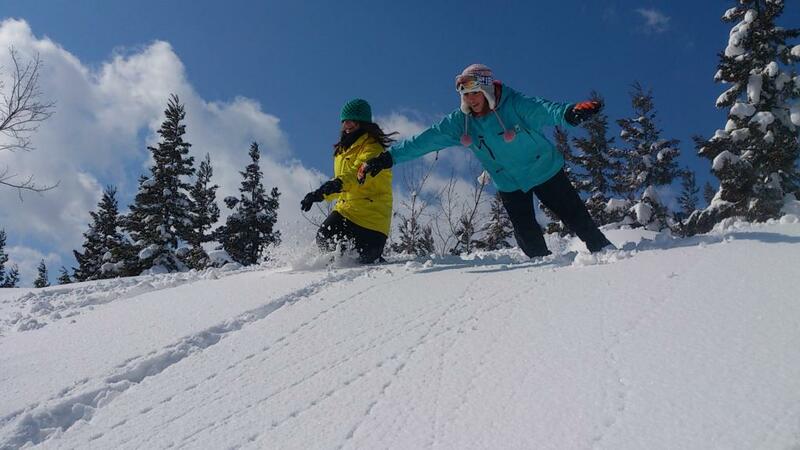 Learn how to put on and walk with snow shoes -- then learn how to play in powder snow with them. 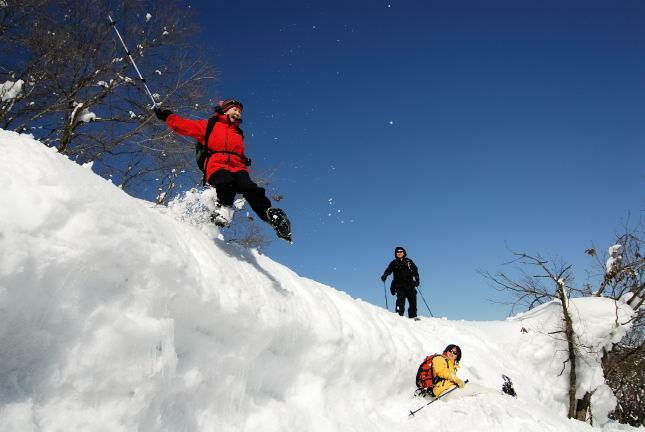 Explore a beech forest then venture out to a snow-covered plateau and experience jumping and diving into deep powder. Sledding also available. Available only in the lobby of the activity center. Closed Tuesdays (except if holiday or during peak season). Snow shoeing available typically from Dec. thru Mar. 10,000 per guide. Snow shoe rental extra. Snow pants / gloves / sunglasses rental not available (please bring your own). Changing room available. Shower room (350 yen) also available. From Iiyama Station(JR Hokuriku(Nagano) Shinkansen), Transfer to the JR Iiyama Line and take the local train to Togari-Nozawa Onsen Station. From there, take a taxi (approx. 15 min). From Toyota-Iiyama IC, via Route 177. Approx. 40 min.